From the Lofoten islands in northern Norway, the wreck of a fish factory ship - the MV Hamburg. The wreck, with its wooden decking lies on her starboard side in Solvaer harbour. 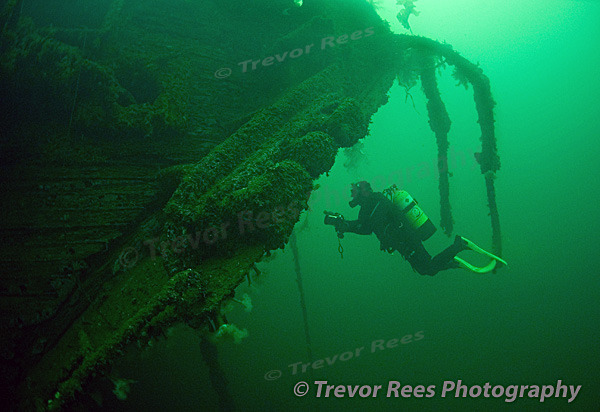 Diver, Simon Yates, approaches the bow section.